← Sunday 11th March – Has Spring arrived? 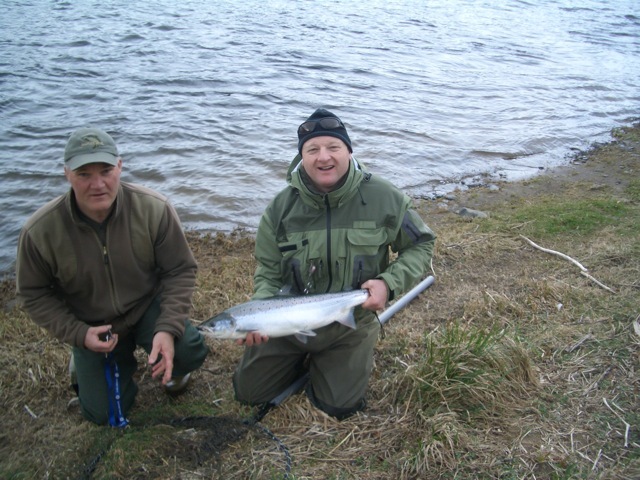 Congratulations to Dean Hilton, pictured with his catch of 10th March of an 8lb salmon from the Juntion beat. “Another goal in life ticked” says the obviously happy Dean. Thank you and keep these pictures and stories rolling in please, we love to hear your stories and see your pictures. This entry was posted in Uncategorized and tagged Angling, FishTweed, Junction, River Tweed, salmon, season 2012, spring salmon, Tweed. Bookmark the permalink.